Having had a well-deserved two-week holiday, the Bayer 04 Leverkusen and FC Schalke 04 players resumed training in earnest as they gear up for the Bundesliga restart in Florida. Leverkusen, currently fifth in the Bundesliga standings, had two training sessions in Orlando on Tuesday, and were watched by numerous fans - many of whom had flocked to see superstar Javier 'Chicharito' Hernandez. "After the long break it was important to get back in a good way," Leverkusen midfielder Christoph Kramer told his club's official website following an intense 90-minute running session. There was also a welcome return to training for defender Tin Jedvaj, who has struggled with injury so far this term. 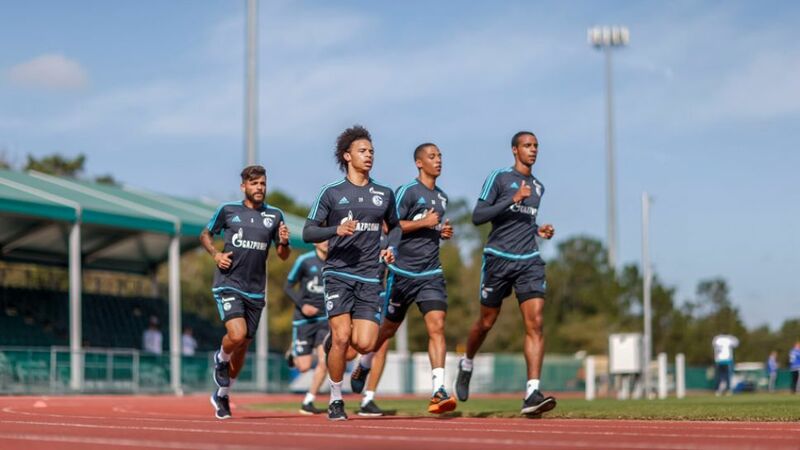 Running was the name of the game for the Schalke players too at the ESPN Wide World of Sports facility, where the stars' fitness levels were measured via a lactate test. By taking a small blood sample, the club's coaching staff are able to better organise future training sessions. Matija Nastasic and Marco Höger were not yet able to participate in full team training, but they have travelled with the squad and underwent individual sessions.